Today, 10,000 baby boomers are reaching retirement age every single day. Add to this number the fact that we’re living longer, and the growing desire for seniors to age in place, and you have the recipe for a growing business opportunity. 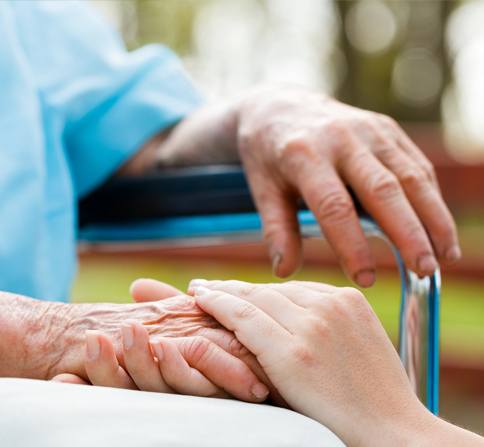 The home healthcare industry is growing by leaps and bounds every year. If you’re looking for a business opportunity that has a built-in growth factor in the coming years a home healthcare franchise offers excellent opportunities. A home healthcare franchise offers a unique opportunity to enter this fast-growing sector and give back to your community. Here a quick look at some of the benefits home healthcare offers. As more baby boomers enter retirement every day, home healthcare spending is projected to outpace all other types of health care. According to Grand View Research, the market for home healthcare is expected to grow 7.8% a year for the foreseeable future, reaching a value of $517.23 billion by 2025. Demand is growing strongly thanks to benefits like improved patient outcome, elimination of unnecessary hospitalization, improved patient outcomes, and cost efficiency. It also offers patients, who choose to age in place, excellent care in their preferred setting. If you’re looking for a franchise opportunity, home healthcare is a great choice. It can cost $500,000 or more to open a fast-food franchise. Most home healthcare franchises cast $150,000 or less to start. This investment includes and is primarily used for hiring, marketing, recruiting and training staff, and for office space. For a relatively low investment, a home healthcare franchise can be a revenue generator, once you’ve ramped up your operation by making connections with key referrers like social workers, and elder-law attorneys. Home Care Plus, an industry research firm found that the median income for a home healthcare franchise is close to $2 million annually. Home Care Plus also found those franchise operators brought in much more than independent operators. Independent healthcare operators are struggling to stay ahead of changes in local, state and federal laws. Insurance to cover worker activities in clients’ homes is another challenging area. Franchises are well known to insurers, and that can help franchisees when it comes to obtaining insurance. As for HIPAA compliance and other regulations, Most franchises offer help to their franchise owners when it comes to understanding compliance and systematizing record keeping. A home healthcare franchise is a great way to enter into a growing market with a proven business model and the business support you need to succeed. Beyond that, a healthcare franchise is an excellent way to give back to your community and offer help to people who have entered their golden years and their families. A Place at Home is a franchise that is poised to deliver. They offer franchisees help throughout the process, from working with you to find and negotiate the perfect office space and assisting franchisees to cut through the healthcare red-tape, to providing marketing materials and strategies. One of the significant benefits of buying into a franchise is that the business model has been proven. With A Place at Home, you are buying into a franchise that not only has an established model; they help you with every step including offering training assistance, marketing, and helping owners/operators to make a difference in their communities. A Place at Home Macomb franchisee Melissa Shevela says the opportunity to create a positive impact on her community is the most rewarding part of being in the home healthcare business. “We have an opportunity to make things better for other people’s loved ones. Seniors deserve respect, compassion, and high-quality care during their golden years. A Place at Home emphasizes high-quality caregiving and on ensuring seniors can thrive in a safe, happy environment,” Shevela said. If you’re considering a franchise in the fast growing home healthcare industry, give A Place at Home a call. We offer our partners support with every stage of the start-up process including marketing support, training, and a proven business model. You’ll not only grow your business, but you’ll also be giving back to your community by providing high-quality care and support to your clients and their loved ones. A Place at Home is one home health care business that gives it’s franchisees a chance to do well while doing good.